For the third time in program history, the SFA bowling team will be bowling for a national title after the Ladyjacks clinched a spot in the 2019 NCAA Women's Bowling Championship title match with an exciting 2-1 mega match win over eighth-ranked Maryland-Eastern Shore Friday afternoon inside RollHouse Wickliffe in Wickliffe, Ohio. SFA ousted the Hawks with a decisive best-of-seven Baker match win to seal the NCAA Bowling Championship semifinal victory after taking the traditional team match. The Ladyjacks, who have gone a perfect 3-0 this week, are the only remaining unbeaten team in the NCAA Championship's eight-team double-elimination field. SFA will bowl for the second team national title in school history Saturday evening at 5:30 p.m. CST. The NCAA Championship final will air live on ESPNU, while the title match can be streamed anywhere via the ESPN app and WatchESPN. The national champion will be determined using a best-of-seven Baker match. The Ladyjacks will face either top-seeded Vanderbilt or third-ranked Nebraska in Saturday's title match. The Commodores handed the Huskers their first loss of the NCAA Championship with a 2-0 win Friday afternoon and the two teams will play a final elimination match Saturday morning at 8 a.m. CST. Getting a team-high game of 214 from senior Paige Beeney, sixth-ranked SFA claimed the traditional team match with 122 pins more than Maryland-Eastern Shore (974-852). Sophomore Sarah Gill contributed a game of 198 as senior Dakotah Hazlewood bowled a 189 to help put the Ladyjacks ahead 1-0 in the mega match. 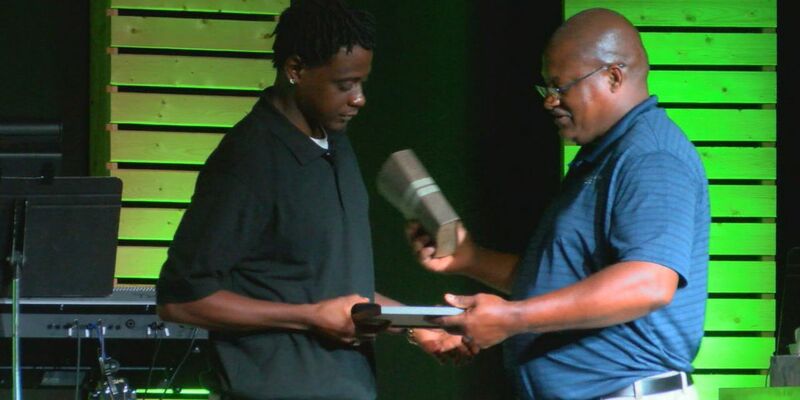 Despite owning a 31-pin advantage through the first two games of the Baker total pinfall match after rolling scores of 205 and 237, the Hawks rattled off three-straight game wins. Gaining plenty of ground with a 224-170 game three victory, Maryland-Eastern Shore increased its lead by seven pins with a 194-187 game four and completed the comeback by scoring 33 more pins than SFA in game five (172-139). With the mega match knotted up at 1-1 after the 1,001-938 Baker total pinfall match setback, the Ladyjacks bowled their finest games of afternoon. Defeating the Hawks with impressive 237-190 and 220-182 game one and two triumphs, SFA took a 3-0 lead in the best-of-seven Baker match with a 203-179 game three win. Staying steady, the senior duo of Beeney and Hazlewood closed out game four with strikes as the Ladyjacks rolled their way to a 4-0 best-of-seven Baker match victory with a 213-193 fourth game. 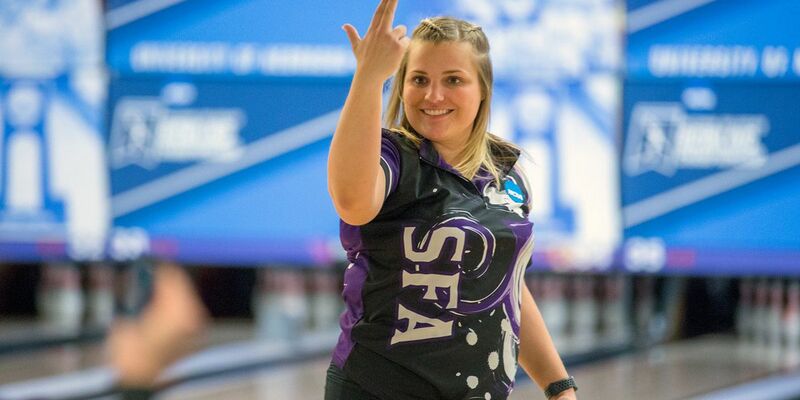 Owning a 1-1 record in national title matches, SFA has faced Nebraska in both of its two previous appearances in the NCAA Bowling Championship final. The Ladyjacks fell 4-2 to the Huskers in the 2015 NCAA Championship title match before avenging their loss with a 4-3 win over Nebraska for the 2016 NCAA title. The Ladyjacks have faced Vanderbilt a total of 13 times during the season, including four times in the Southland Bowling League Championship, and have earned two traditional team match wins and both a Baker total pinfall and a best-of-seven Baker match victory over the Commodores. 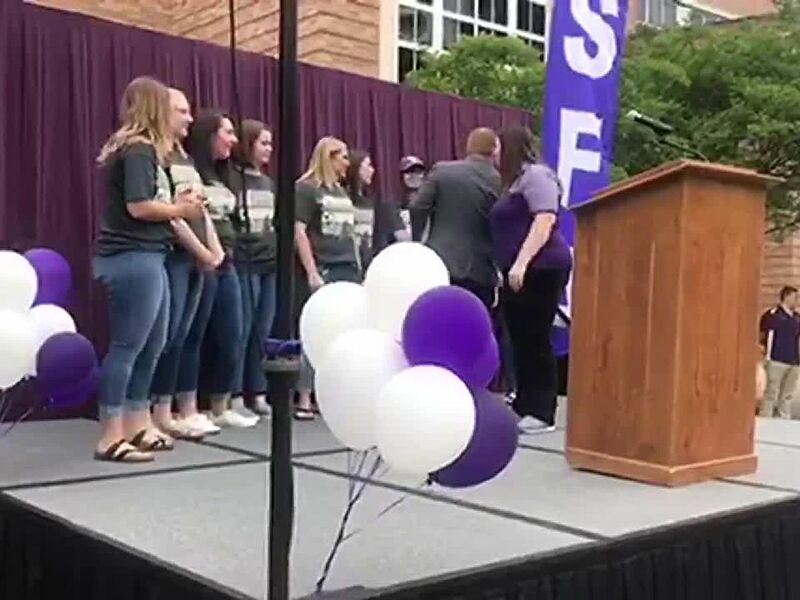 SFA has bowled against Nebraska six times in 2018-19, claiming both a traditional team match and a best-of-seven Baker match win against the Huskers. Excluding the title match, each round of the 2019 NCAA Women's Bowling Championship consists of a best-of-three mega match that includes the use of three team game formats - Baker total pinfall, five-person traditional team and a best-of-seven Baker match.